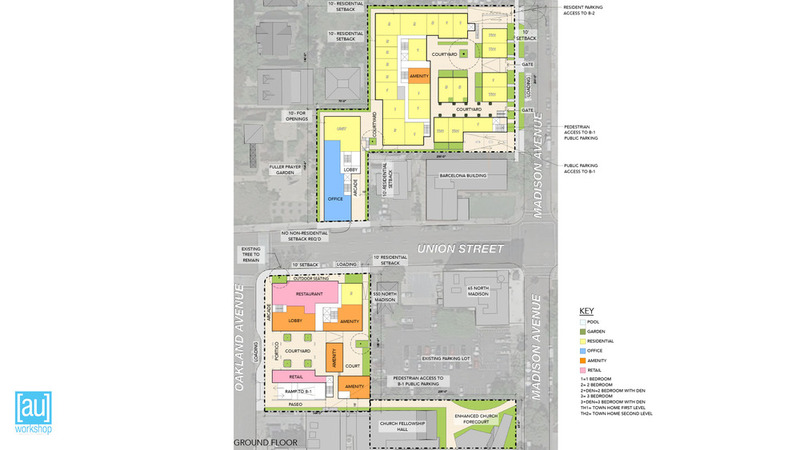 Carefully negotiating a patchwork urban context that has an eclectic mix of architectural styles, Olivewood Village will consist of multiple infill structures located on several adjacent sites. The project is organized around three separate building areas with distinct identities. Complementing each other functionally and aesthetically, these buildings will house a variety of uses and will provide a rich palate of scales and a sophisticated urban design strategy, which includes preserving views of the beautiful Pasadena City Hall dome. When completed in 2019, the infill project will tie together the fragmented local streetscape through a focus on useable outdoor space, creating multiple interior courts, passages and paseos. 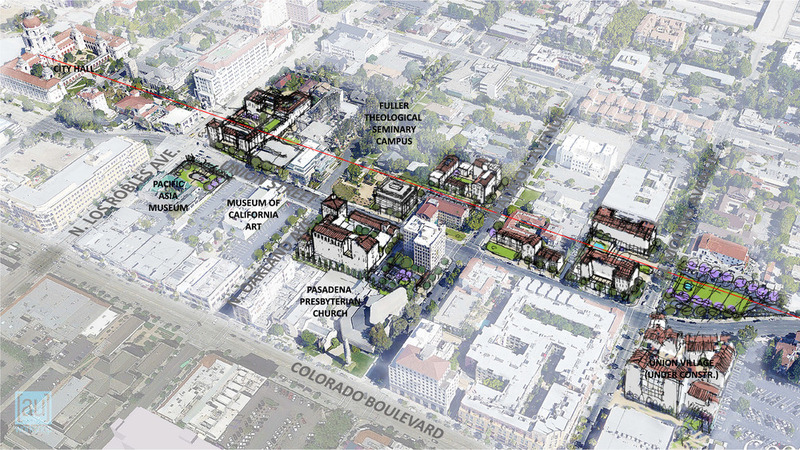 These spaces, both at street level and on rooftops, will produce unique living, working and dining experiences that will further enhance the urban character and quality-of-life experience of Pasadena.